Evaporation is continuous – and it can affect plants, pets, furniture or you. Dryness is especially noticeable in low-humidity climates, giving rise to throat, skin and sinus discomfort, and leaving wood floors and furniture more susceptible to drying and cracking. Your humidifier is designed to keep the air in your home steadily moist enough for these things not to occur. A well-maintained humidifier will eliminate the effects of dry air for about a year before the pad should be replaced. 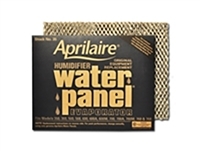 Filter Shipping carries humidifier pads for Aprilaire and many other manufacturers. 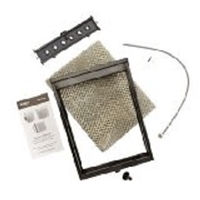 Our Aprilaire humidifier filters are available in a wide variety of sizes to ensure a proper fit no matter which humidifier your home utilizes. 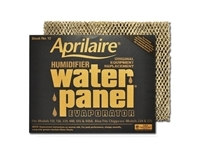 Replacement pads for Aprilaire humidifiers are also capable of fitting most other major brands. 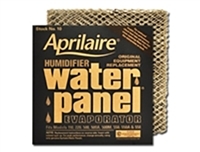 Choose your Aprilaire humidifier replacement pad based on model number or dimension now. If you're not sure which Aprilaire filter is right for you, contact us for help. Exact Size: 11.5" x 14.75" x 1.5"